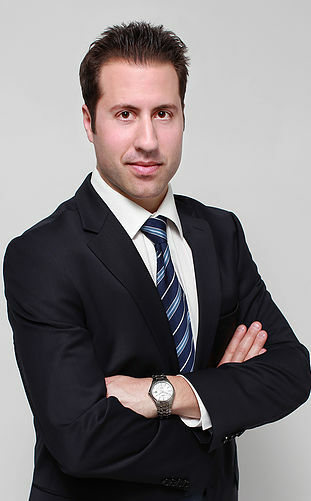 Dr. Adrian Cohen is an experienced chiropractor in Toronto who has worked with a range of patients from high performance athletes (NHL, MLB, NBA, Canadian National Squash, University of Virginia Track and Field team) to patients simply in need of high quality chiropractic care. With Dr. Cohen’s extensive knowledge of biomechanics and sports injuries, paired with a personal training and strength and conditioning specialist background (CSCS), his practice treats patients with neuro-musculoskeletal dysfunction. Dr. Cohen utilizes a unique treatment system for the primary goal of reducing pain and dysfunction, while increasing strength and improving athletic performance. This proven treatment system also applies to those who require performance optimization from the physical stress of the regular activities of daily living, such as taking out the garbage or prolonged work postures, which can lead to repetitive strain injuries. In 2010, he presented acupuncture protocols to senior medical residents at Spaulding Rehabilitation Hospital affiliated with Harvard Medical School. He also has a special interest in clinical nutrition and has successfully helped people lose weight and gain lean muscle mass safely and effectively. More recently, Dr. Cohen was invited as a guest lecturer to the University of Queens medical school to educate students about interprofessional collaboration and chiropractic's key role in mainstream health care (April 2015). He also participated in the Toronto 2015 Pan Am Games as a field hockey medical services volunteer, and is the consulting chiropractor to the Four Seasons Hotel in Toronto. He applies functional neurological rehabilitation and concussion protocols (Carrick Institute) to individuals suffering from post concussion syndrome, chronic pain, insomnia, and many conditions associated with mental and physical stress. Due to his achievements and leadership in his field, Dr. Cohen was selected to be featured in the 2015 edition of Worldwide Leaders in Healthcare by the International Association of Chiropractors. Dr. Cohen graduated from the University of Western Ontario with an Honors B.A. in Kinesiology and subsequently completed his Doctor of Chiropractic degree from the Canadian Memorial Chiropractic College in Toronto, Ontario. He is an active member in good standing with the College of Chiropractors of Ontario (CC0), Ontario Chiropractic Association (OCA), Canadian Chiropractic Association (CCA), Canadian Contemporary Acupuncture Association (CCAA), and the International Association of Chiropractors. Set up an appointment with Toronto Chiropractor to get $50 off on your first visit.